The Joint Opposition May Day rally will be held as planned despite the cancellation of the reservation of Shalika Grounds in Narahenpita, Pivithuru Hela Urumaya Leader and MP Udaya Gammanpila said. He was addressing a press conference at the N. M. Perera Centre in Borella yesterday. He said the May Day procession would commence at Shalika Grounds in Narahenpita and end with a rally in Kirulapone Grounds. Gammanpila said the government obstructions to the Joint Opposition rally demonstrated its fear for the Joint Opposition and stressed the Kirulapone rally would be one of the most successful rallies in the history. “Nobody can stop us by suppression because we have the backing of a massive crowd. If they want to clash with us, let that happen and let’s see who would win,” he said. When asked about the UPFA General Secretary's warning of disciplinary action against those who participate in the Kirulapone rally, Gammanpila said it was an old melody which has no real impact. “This was repeated over and over again since the Nugegoda rally on February 18, 2015 to Hyde Park rally on March 17, 2016. Those days, there was a widely held opinion that if the Meteorology Department predicted that it would rain, there would not be any rain. Likewise, we are now convinced that if the UPFA General Secretary says there will be disciplinary action, there won’t be any such action,” he said. 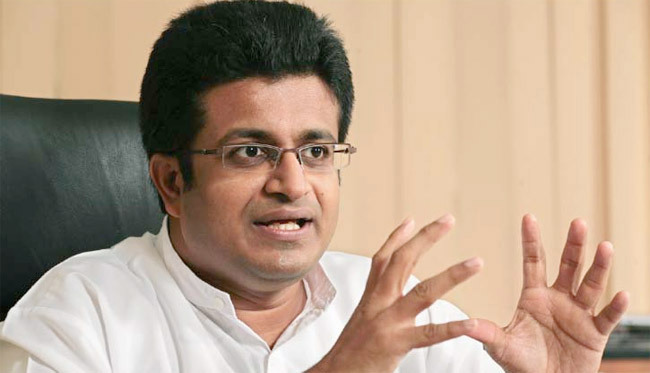 Responding to another question Gammanpila also said the Joint Opposition group of 53 MPs in Parliament had not been affected by those who recently joined with the government, adding that Deputy Minister Manusha Nanayakkara was never a member of their group. He further said during the third reading of the vote on the Budget last December, 23 members of the government had had discussions with the Joint Opposition MPs to vote against the budget. Among them, Gammanpila said, were both UNP and SLFP members. “We could have easily toppled the government during the third reading vote had not 35 UPFA MPs joined the government. If we had the support of 106 MPs as we initially had, the situation could have been different,” he observed. However, Gammanpila said more such opportunities are to be expected in the near future when the No Confidence Motions are taken up for debate. He also said when the government presents the Bill for the establishment of an Authority for the Regulation of Electronic Media in Parliament, the Joint Opposition would challenge the Bill before the Supreme Court. MP Prasanna Ranaweera said that about 250 Trade Unions have expressed their willingness to participate in the Kirulapone rally. MP Piyal Nishantha also spoke.